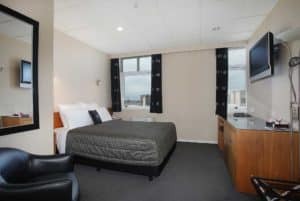 The Kelvin Hotel Invercargill provides comfortable well appointed accommodation with all the modern conveniences. 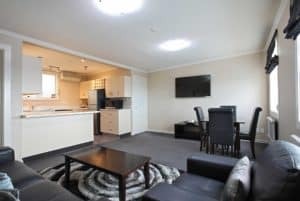 Located in the main shopping area of Invercargill, Kelvin Hotel has the facilities to cater to all your needs while in Invercargill. Our cosy room comes with a double bed with all the Hotel comforts you would expect. Comfortable Queen bed with all the creature comforts at great value. 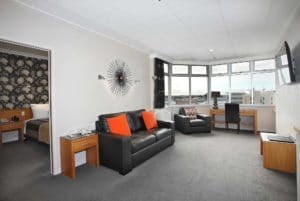 Either a Double and Single bed or two Double beds, all with a great view of the city. These rooms are perfect for those wanting some more space. Featuring two Double beds and a Single bed, a perfect fit for family or small group. Retire to a luxury bedroom , a sumptuous King bed where there is room to spread out and enjoy the comforts that inner city living can provide. Relax in a slice of luxury. Deluxe Queen bed with panoramic views of the city. Our King Suite is truly something special with a beautiful double spa bath, two headed shower, king size bed and your own private balcony. Our two superior suites are all about the space and luxury, with large separate living areas both of these Suites have a corner double spa bath, which is perfect for the honeymooners or for a night of luxury. Our 3 bedroom apartment features a master bedroom with ensuite, a double bedroom and a single bedroom.